One of our mechanical performers blew a starter that needed to be replaced before the plane could make its way home. Watching the expert crew from Planes of Fame handle the Northrop N-9M with kid gloves, you could see the respect they had for this very rare piece of American history. Looking on and touching the wing, I realized that of all the X-planes that graced the skies over Muroc in the 1940s, this Northrop product is the only remaining X-plane to take to the air on a regular basis. The N-9M program was implemented to serve a purpose: Northrop engineers were about to go into detail design phase of the huge XB-35 and the decision was made to build four 60-foot scale models to provide flight research data. Except for the power plants and propellers, the N-9Ms were the aerodynamic equivalents of the big bomber. The first flight of the first N-9M took place on Dec. 27, 1942. 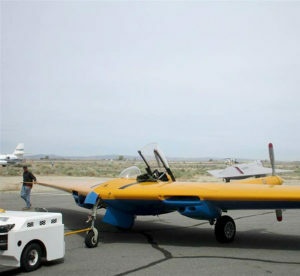 The craft eventually made about 50 flights and racked up 30 hours before it was lost during a test flight north of Rosamond Dry Lake. The problem was figured out and construction and flight test of the remaining three wings would continue on. The wing we are blessed to have still performing is the fourth wing built and goes by the designation N-9MB, which had the difference of two 6-cylinder Franklin motors (rather than the Menasco engines used on earlier versions) and early on in its life had one fuel tank removed from behind the pilot to accommodate an observer. This second seat was occasionally occupied by Bill Sears, Chief of Aerodynamics, or Jack Northrop himself. By 1945, the plane we see today was refitted with an extra fuel tank and the extra seat was removed. Touching this beauty today does give you the chills when realizing what this wing was to foreshadow the Northrop B-2 that we see flying today and more than likely the next generation bomber as well. One thing that many do not know is that the list of individuals that sat in the cockpit of the N-9MB reads like a “Who’s Who” of aviation flight test from the glory days of Muroc. 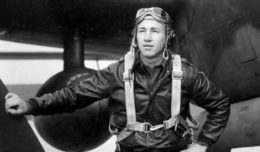 I did an article awhile back about Republic test Pilot Rusty Roth. 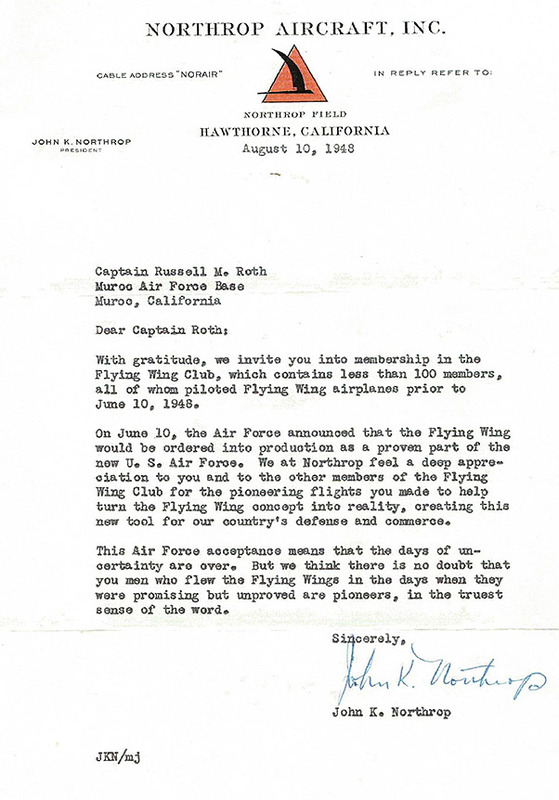 Thanks to his son John, I have a document that I think you will find interesting when it comes to those that flew the trusty little flying wing! Pretty neat club to be a part of, I would say, but more important a club that took good care of a true X-plane relic that survives today and is piloted and maintained by excellent individuals. They understand this is not just another airplane. It’s a national treasure and sole survivor, thanks to Ed Maloney (Planes of Fame) who saved it from the scrap pile many years ago. Later that Monday, some of us stood on the tarmac and watched as this plane taxied out on its way home. We wondered what it would be like to sit in that plane with all its history and at the controls where so many greats tested the flying ability of a design that would become legendary. Needless to say, there are some pretty lucky guys out there that do live in this world of the N-9M and we must count ourselves lucky that we get to see them do it from time to time!